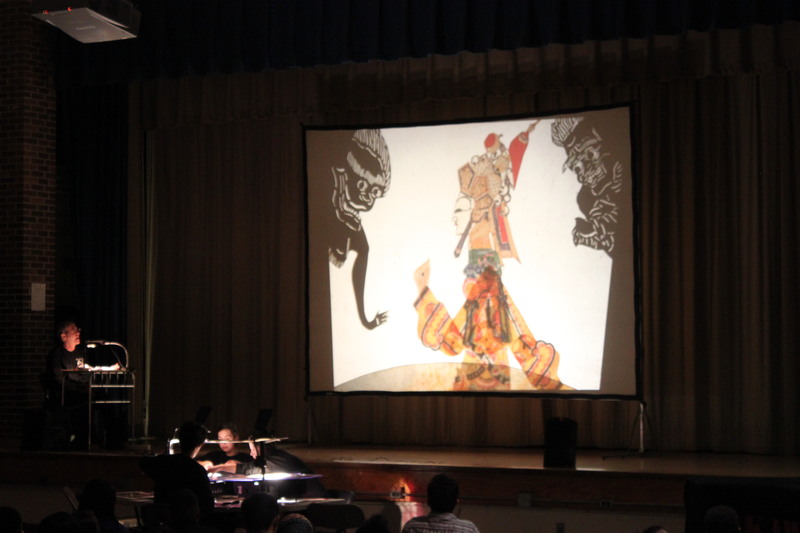 In celebration of Lunar New Year, Chinese Theatre Works, a non-profit organization in New York City, performed Shadow Puppetry at East-West on Thursday, January 30th, 2014. 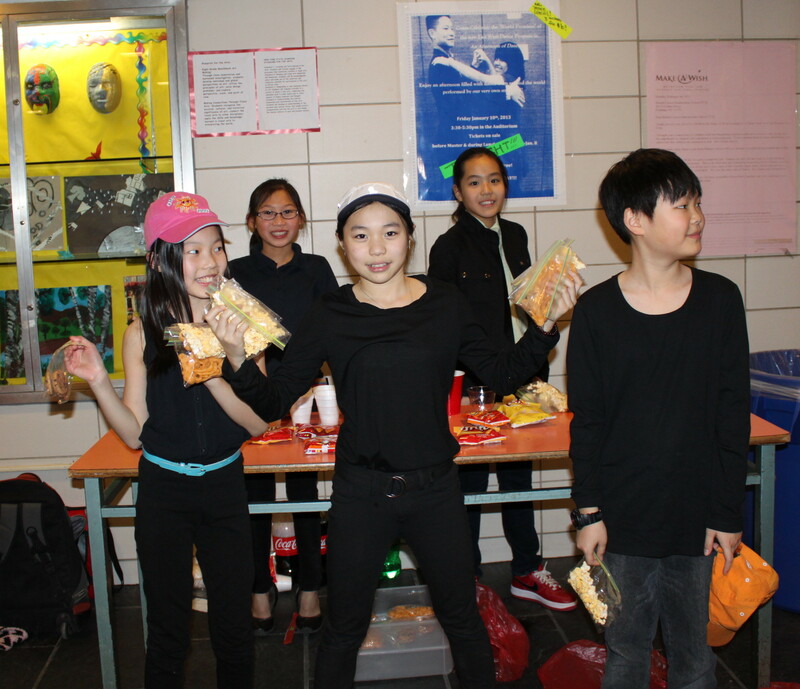 All middle school students, teachers, and parents were invited to watch a shadow puppet performance, titled “Chang’ E Flies to the Moon.” Following the performance, all the 8th graders had the opportunity to participate in a hands-on workshop conducted by the performers. Stephen Kaplin demonstrates behind the scene techniques of shadow puppetry. 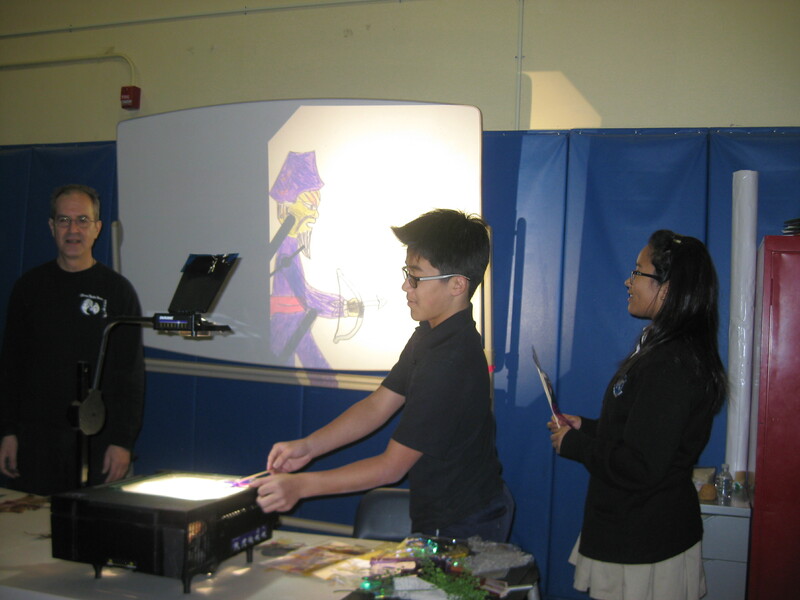 Students were guided through the process of making their own shadow figures come alive. Click here to view more photos and videos from this album. The Dean of Admissions from St. Johns University will be in attendance to talk about what colleges are looking for in perspective students! As well, we can discuss any individual concerns that you may have! The next step in your child’s academic journey to success starts with a college education! We look forward to you joining us for a well-informed session. 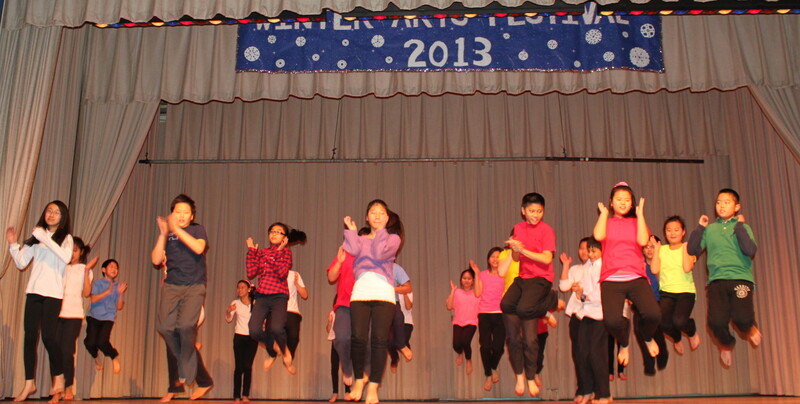 On Friday, January 10th, East-West celebrated the first year of its dance program with a big show featuring all 7 dance classes from grades 6 to 12! 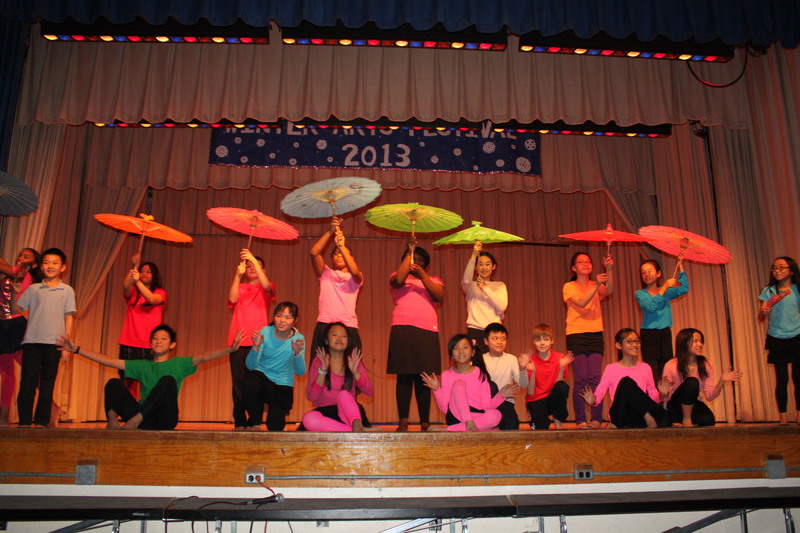 For ACT I: The 6th grade lit up the stage with Asian Folk Dance inspired work, where students not only performed choreography, but choreographed parts of each dance themselves. 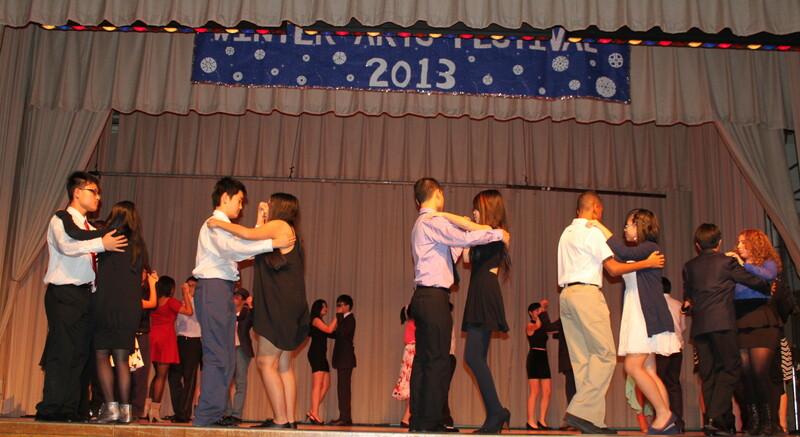 In ACT II: The High School students graced the stage with the elegance and poise of their ballroom dancing. Thank you to the whole school community, from those who helped “behind the scenes,” to everyone who came out to cheer. 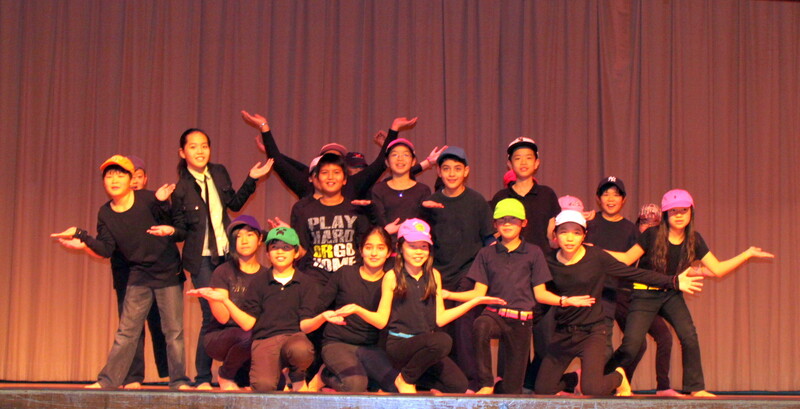 Our 6th Grade students who organized their own fundraiser for the dance program. 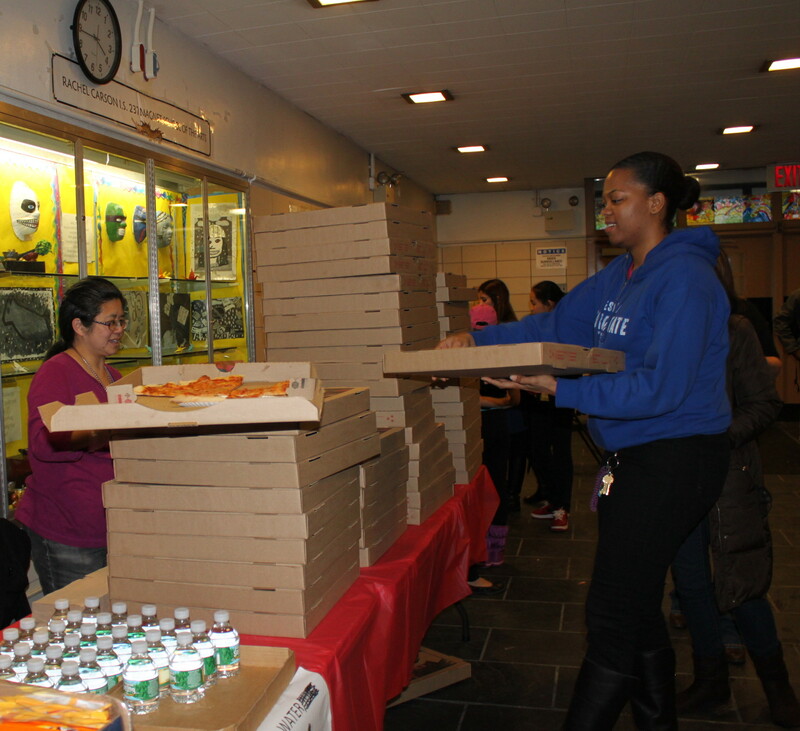 Thank you to our PTA for selling refreshments and PIZZA! 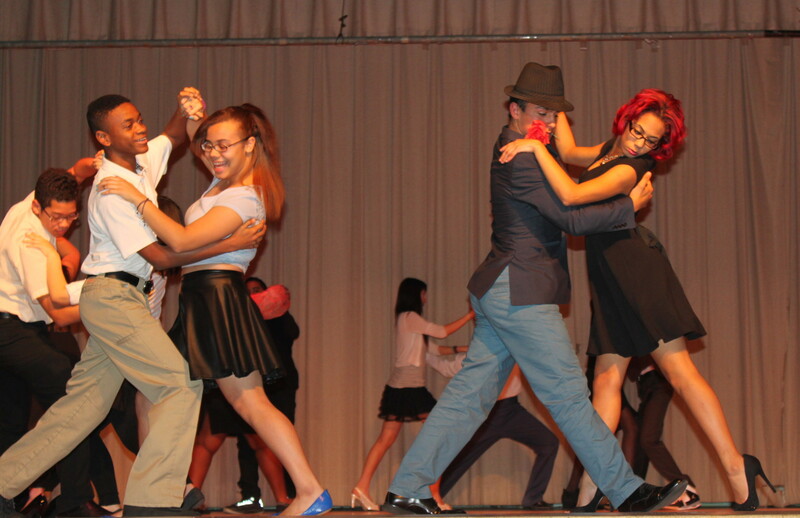 Congratulations to all of East-West’s dancers and looking forward to the next show! 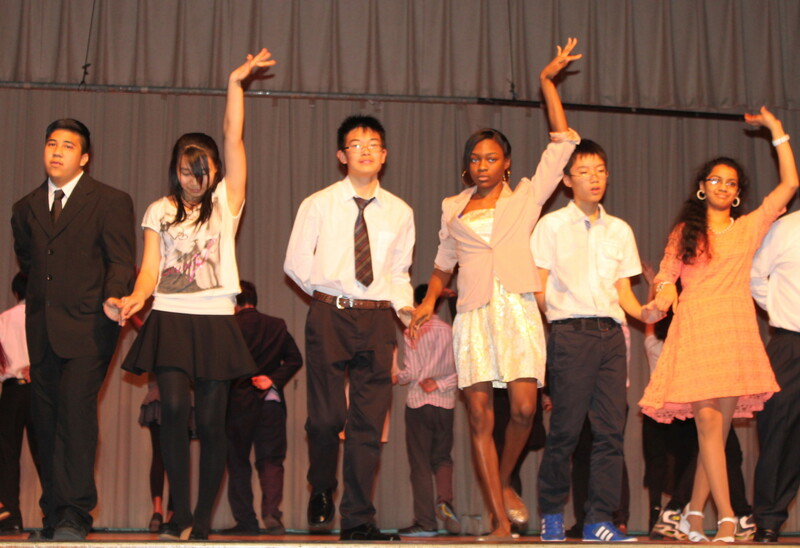 The dance program teaches students much more than just dance. It is a vehicle for celebrating community, and affecting social change through respectful body language, and honoring teamwork. Students build an awareness of their own bodies in space, and in relation to those around them. They develop control, focus, flexibility, and the ability to be still. 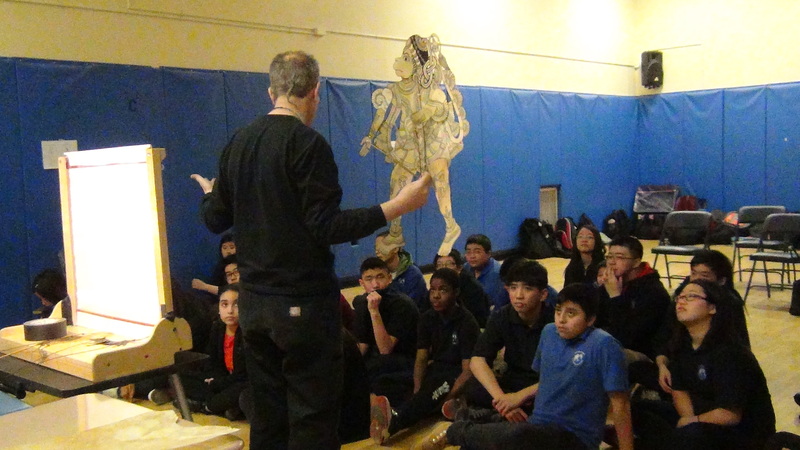 Students are challenged to solve problems through movement, write, speak and ask questions about dance, and make cultural connections to the past and present through the study of dance.